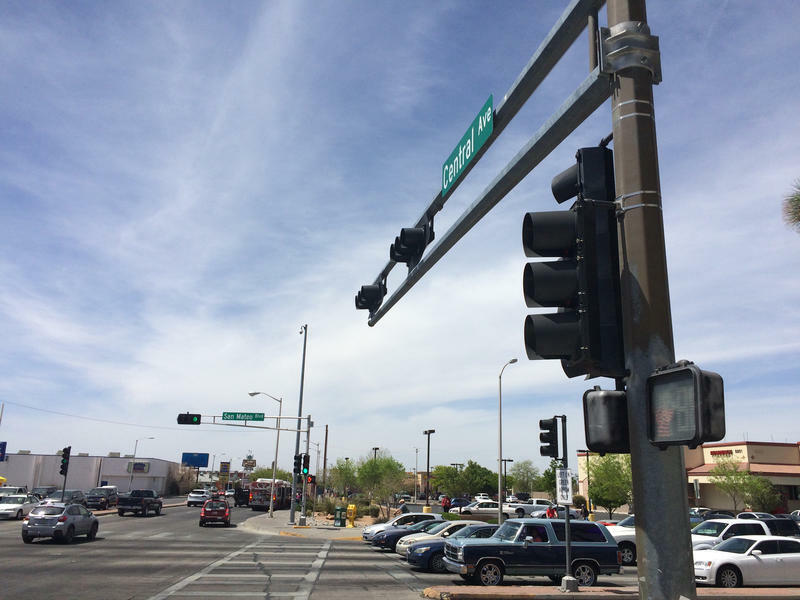 Albuquerque’s Central and San Mateo intersection sees a lot of foot traffic and a lot of vehicles. The Federal Highway Administration came here and observed pedestrians forced off crowded sidewalks into the roadway while waiting for busses, and folks with disabilities trying to quickly cross six lanes. A coming bus project is an opportunity to fix things up, according to the FHA. Local transportation planner Julie Luna agreed. Central is a great transit corridor, she says, but it carries a lot of fast-moving traffic. "It’s time to change the way this road operates," Luna said. "If it’s going to happen through ART, great, we’re going to be right there to do it. These recommendations still stand if for any reason ART does not get implemented." 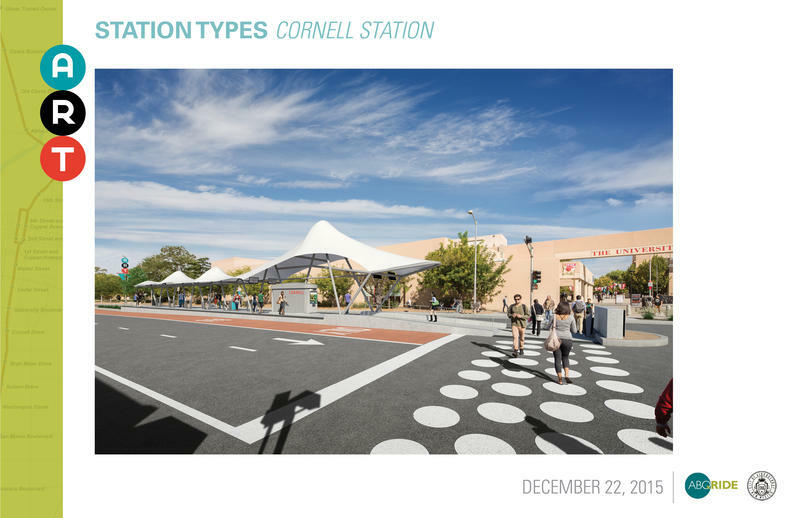 Recommendations include reducing Central down to two lanes in each direction, aligning wheelchair ramps with the crosswalks and making more room on the sidewalk for people at bus stops. ART faces heavy public opposition from businesses and neighbors. Plans to create a new bus rapid transit system along historic Route 66 are generating intense controversy in Albuquerque. Supporters say it will bring economic development, more walkable streets and make it easier for residents across the river to access jobs. Business owners fear construction and increased congestion will mean fewer customers. The city of Albuquerque received word Tuesday that it got the OK on federal support to build a bus rapid transit system. 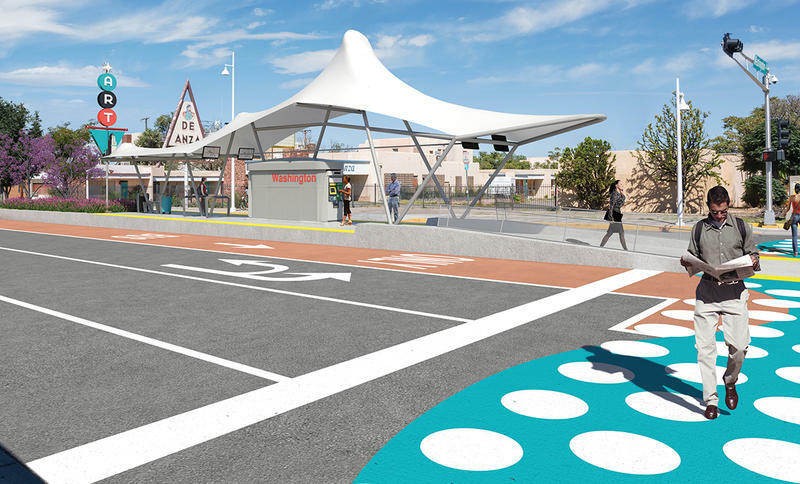 The Albuquerque Rapid Transit project would create dedicated bus lanes in the middle of Central Avenue. It's expected to cost the city nearly $120 million dollars with – about $70 million coming from the Federal Transit Administration according to President Obama’s budget. Numerous businesses along Central fear prolonged construction and congestion that could deter customers. KUNM Call In Show Thu. 2/11 8a: The city of Albuquerque was approved for a federal grant to build a rapid transit bus system down Central Avenue. The city would also borrow $13 million to fund the project. The design would create a center lane along the corridor for buses running every 7 to 8 minutes.